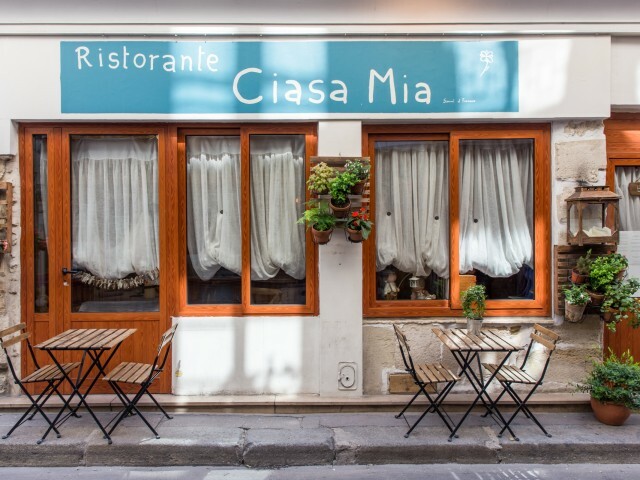 Ciasa Mia is a gourmet Italian restaurant where fresh, seasonal ingredients are prepared and worked by Samuel. Discover traditional recipes discounts Dolomites to date with a modern twist. The dishes will be accompanied by a wide selection of Italian wines, not to mention the homemade bread served hot. It is in one of the oldest and most beautiful district of Paris near the Pantheon, Samuel and Francesca welcome you at home eux.La kindness and warmth of home await you. The quiet street, neat, beams and stone walls, you will feel far from a big city and you will have a moment of pure happiness, in peace with your loved ones. The large fireplace in the restaurant of the center will warm you up on cold evenings hiver.La map will change every three months in order to satisfy your taste buds with new innovative and creative recipes. Meals can be completed smoothly with a homemade dessert of course!